UPDATE: Due to the disruption expected by the arrival of impending Hurricane Florence, this program will be rescheduled for a later date. 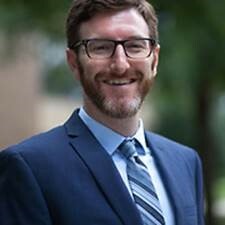 Hackney Library is pleased to announce that Dr. Jeremy Strickler, Assistant Professor of Political Science and Public Service at the University of Tennessee at Chattanooga (UTC), will be the featured speaker at our annual Constitution Day reception and program. Constitution Day is traditionally celebrated each September 17 to mark the anniversary of the signing of the United States Constitution on that date in 1787. The event will be held this year on Monday, September 17, 2018 at Barton College’s Hackney Library from 5:00-6:30 pm. A reception with refreshments will begin at 5:00 pm in the Learning Commons on the first floor, followed by the program at 5:30 pm, during which Dr. Strickler will address issues concerning “The Constitution and the American Presidency: The Prospects and Constraints of Democratic Leadership.“ After the presentation, a question-and-answer period will conclude the program. This free event is sponsored by Hackney Library and is open to the Barton community as well as to the general public. Prior to joining UTC in 2016, Dr. Strickler taught American politics and public policy courses at Willamette University and Cameron University. His research and teaching interests are in political institutions, policy history, and American political development. His current research explores the historical dynamic between the American presidency, war, and domestic policy. Over the course of this project he has conducted extensive research at the presidential archives of Franklin D. Roosevelt, Harry S. Truman, Dwight D. Eisenhower, and Lyndon B. Johnson. He received his PhD in Political Science from the University of Oregon in spring 2015. He is married to Dr. Lucy Schultz, Assistant Professor of Philosophy at Barton College. Please join us for this informative look at the interrelationship between the Constitution and the presidency this September 17.